PNS Shamsheer has now joined the Pakistan Navy fleet. 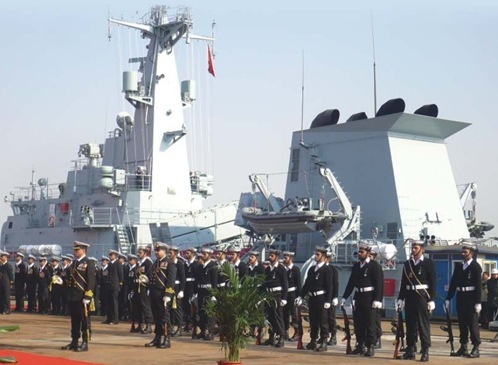 PNS Shamsheer (F 252), type F22P frigate built by China, was commissioned on December 19 at Shanghai. 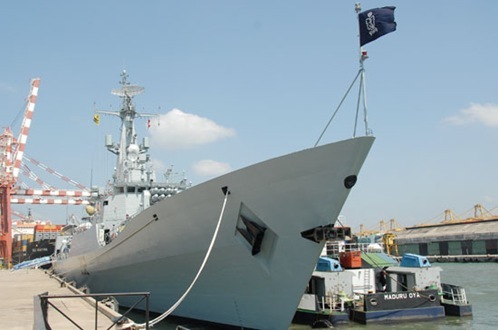 Before reaching Pakistan, the frigate visited Colombo on January 16. Vice Admiral Thisara Samarasinghe, Commander of the Sri Lanka Navy visited PNS Shamsheer and was warmly received by the Commanding Officer Captain Neimatullah. Meanwhile, indigenous construction of first F22P frigate (with Chinese assistance) has started in Karachi Shipyard & Engineering Works. Keel laying ceremony was held in December 2009. Construction is expected to be completed in 2013.